Vitabond take your product from concept right through to creation with our modern design suite, high-tech equipment and specialist staff. 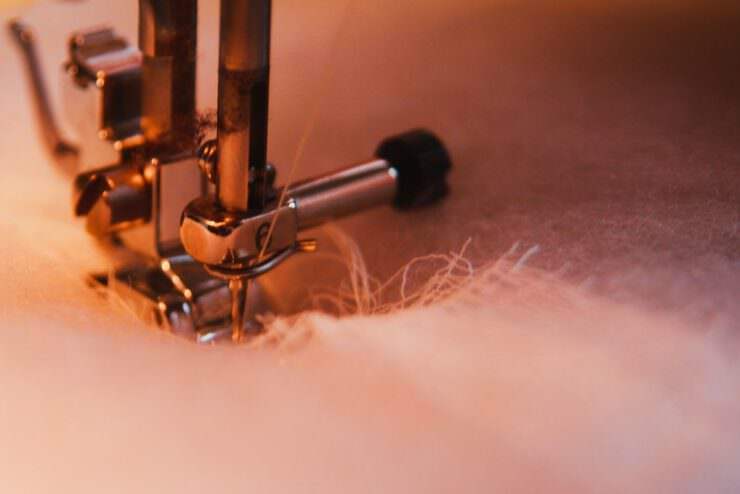 Your individual specifications are met as we operate fully equipped polyester fibre production machinery to develop and produce a blend to suit your needs. 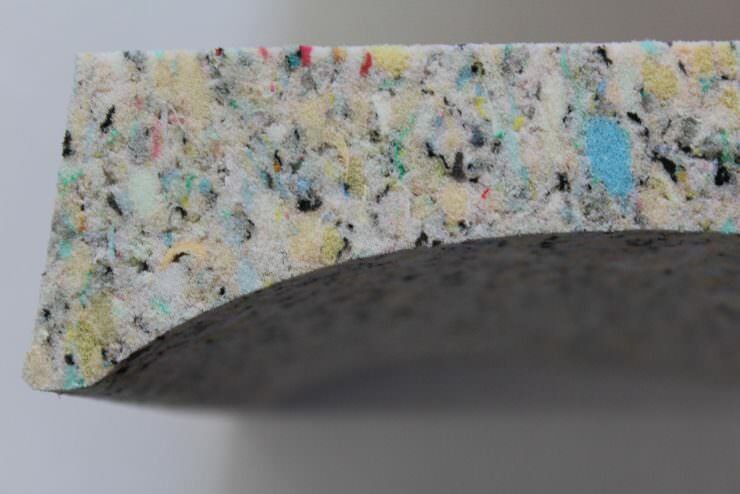 We have developed a range of fibre blends that are adaptable to specific weight and loft requirements incorporating thermal, acoustic and fire resistant properties. Vitabond has the capacity to fulfil any project. 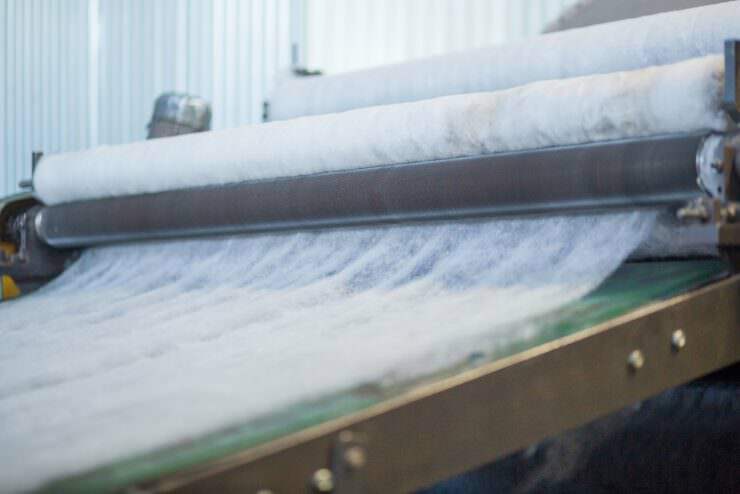 With a full polyester fibre production line, we can manufacture numerous different blends to meet our client’s criteria. Blowing: Fibre can be blown into quilts and pillows creating variations with different weights. Stitching: We add any scrims or fabrics needed for all applications in our dedicated stitching room. Allows us to swiftly covert customer drawings into finished products and automatic nesting ensures there is a minimum amount of waste material. We can cut a variety of materials and produce virtually any 2D shapes or 3D contours with a high degree of repeatability. 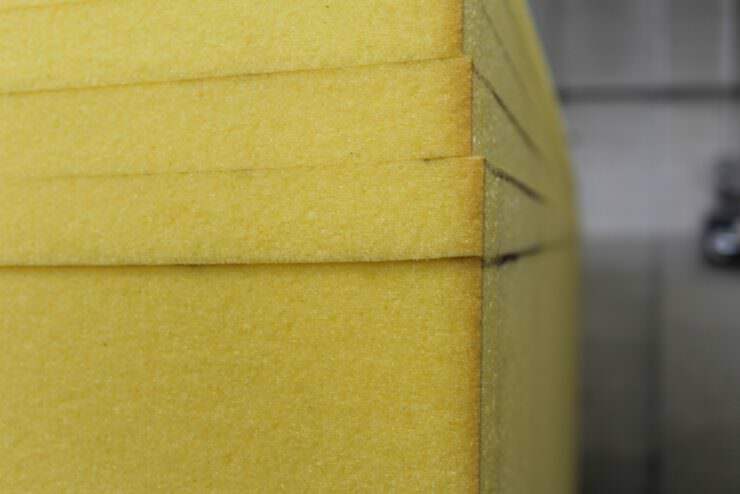 Our horizontal rotational splitter removes production skins from foam blocks and precisely cuts sheets to the desired thickness. 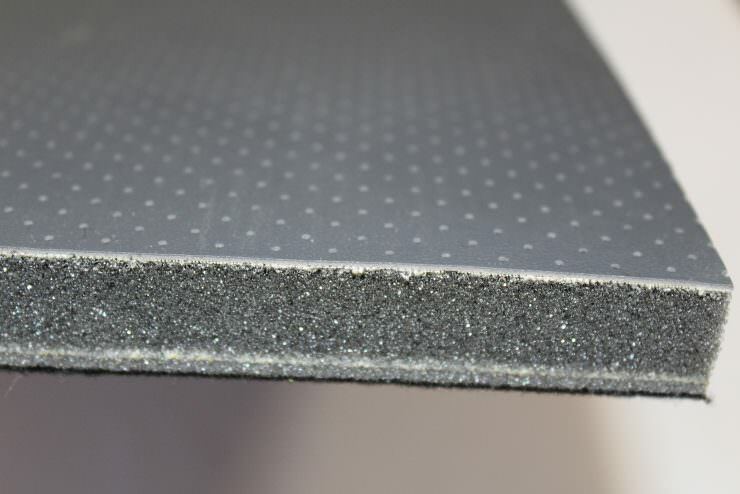 Using technical adhesives or heat, multiple material types can be laminated together creating innovative composite products.